Is the bird mourning the loss of warm weather, or enjoying the morning in the winter? Always lovely photograph? 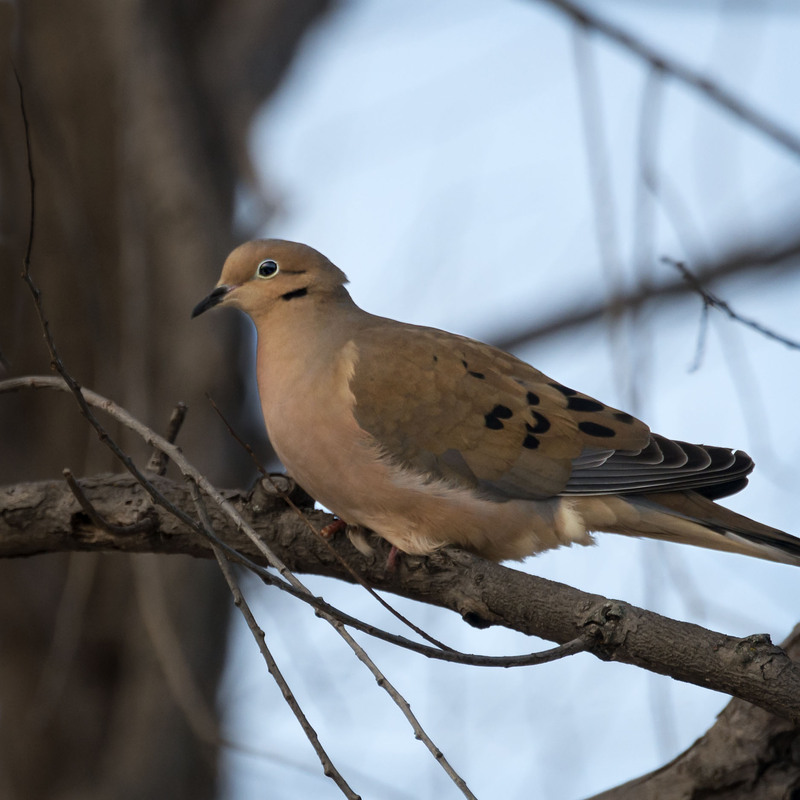 They are called mourning doves for the calls they make. A subdued who-eee-who-who-who-who. Of course I meant photographS and not a question mark, but an exclamation! Hi Marsha, no worries and if I had nickel for each typo that passed my editing I would be rich. Hope your well and having a great day. A beautiful capture, Mike. The rosy, desert-sand color of its breast is one of my favorite colors. Hi Eliza, They do have a special earth tone coloration which is unique. Doves are so pretty. I like the white eye liner. Hi I agree they are very good looking birds and that white eyeliner almost has a blue tint to it at times. Awh, what a beatiful mourning dove. I saw one like that last year but this one is prettier. Hi Stephen, this dove was very nicely colored very much in earth tones. Hope your day is treating you well. Anne, I agree. This Mourning Dove had just a bit more vibrant colors that most I see. Hop eyou have a great weekend. What a nice photo. Superb. Thanks, hope you well and wishing you a great weekend.